Stephen Hawking, the world-renowned theoretical physicist and cosmologist, has passed away at the age of 76, leaving a scientific legacy behind him that will undoubtedly be remembered for many centuries to come. Hawking was born on January 8th, 1942 in Oxford, the United Kingdom to two Oxford University graduates, Frank and Isobel. He had two younger sisters, Philippa and Mary, as well as an adopted brother named Edward. The family moved to St. Alban’s, Hertfordshire, where they were considered to be both highly intelligent and somewhat eccentric by the locals. They lived frugally in a large, messy house and got around in a converted London taxi cab. 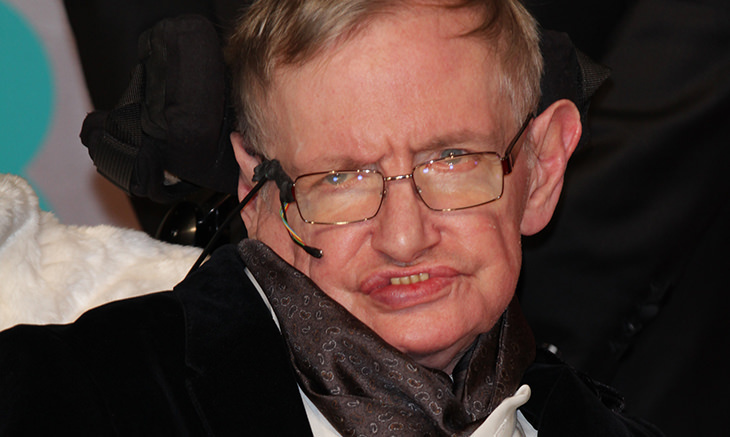 Following his primary and secondary school education, Hawking began his university education as an undergraduate at University College, Oxford in 1959. He was just 17 years old. 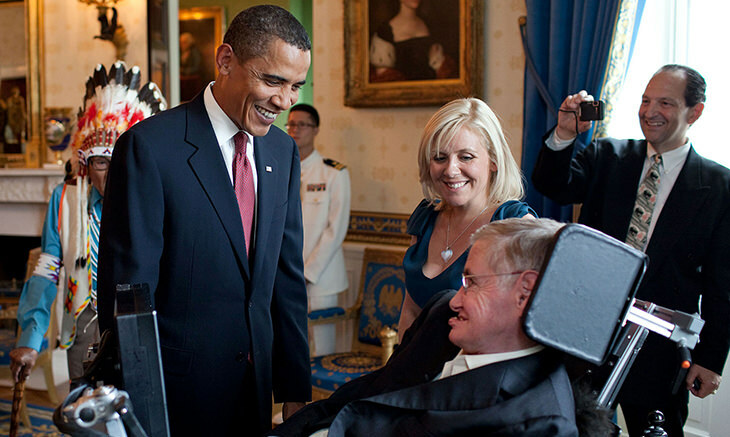 Although the world only pictures him as a man confined to a wheelchair due to debilitating motor neuron disease that he was diagnosed with aged just 22, Hawking actually gained a reputation as being something of a daredevil during his university years. He was the coxswain of a rowing crew at the University College Boat Club, and became notorious for steering his crew on risky courses, inevitably leading to a string of damaged rowing boats. He left University College with a Bachelor of Arts in natural science in 1962 prior to starting to work on his doctorate. His diagnosis with a rare form of motor neuron disease occurred at that time, and it led to him becoming deeply depressed. Nevertheless, he was encouraged to continue his studies by his supervisor, Dennis William Sciama, and was eventually able to demonstrate that Einstein’s general theory of relativity implies space and time would have a beginning in the Big Bang and end in black holes. During his graduate years at Cambridge, Hawking fell in love with his first wife, Jane Wilde, with whom he had three children. 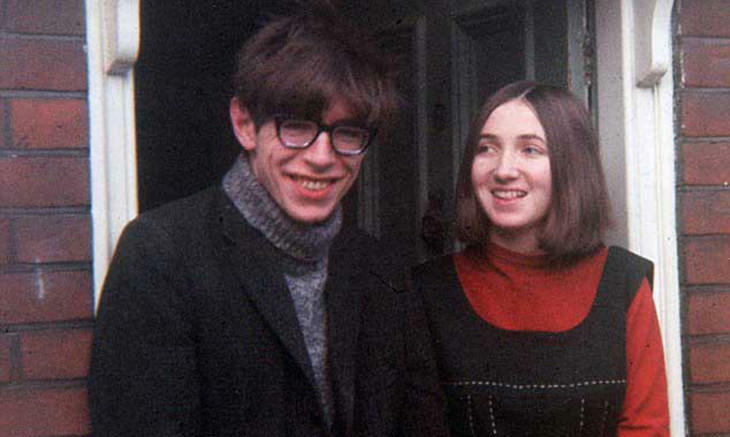 The marriage would end some 30 years later after the marriage succumbed to the pressures of Hawking’s fame, ideological differences and the difficulties surrounding caring for him in light of his disability. Despite beginning to use crutches in the early 1960s, he long fought off having to use a wheelchair, but when he finally couldn’t do so any longer, he gained notoriety for wild driving on the streets of Cambridge. He also used to run over students’ toes intentionally and would even spin himself on the dancefloor at college parties. Together with Roger Penrose, Hawking had his first major breakthrough in 1970. They were able to use mathematics to show that a singularity, a region of infinite curvature in space-time, was the point from which the big bang emanated. After he realized that he was wrong in his argument about black holes being able to radiate, Hawking was in a Cambridge pub with his students when he suddenly turned up his voice synthesizer to full volume and bellowed that he was conceding defeat. Anyone who studied under his tuition or knew him personally knew him for his wicked sense of humor. 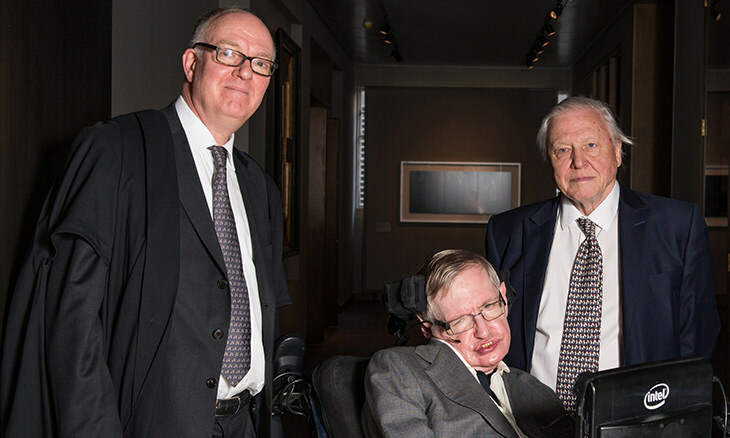 Hawking was elected to the Royal Society in 1974 aged just 32 after the series of radical discoveries he made during his early career, and would become the Lucasian professor of mathematics at Cambridge. The latter is often thought as the UK’s most distinguished academic chair and was once held by Isaac Newton. His 1988 book, A Brief History of Time, catapulted Hawking to international stardom. It sold over 10 million copies and was translated into no less than 40 different languages. It was around that time that his marriage would begin to break down, but he would go on to remarry in the mid-1990s. During his lifetime, he won the Albert Einstein Award, the Wolf Prize, the Copley Medal and the Fundamental Physics Prize, however, the Nobel Prize for Physics eluded him. He also returned to the White House (he had also visited during the Clinton administration) to receive the Presidential Medal of Freedom from Barack Obama. His life has also been immortalized on screen, not least thanks to the multiple award-winning movie, the Theory of Everything. He also lent his voice and know-how to various documentaries over the years. Perhaps it’s not surprising to know that Hawking was not a religious man, and dismissed the comforts of religious belief. With that being said, he had once told an interviewee that he wasn’t afraid of death, but he added that he wasn’t in any hurry to die due to how much work he had left to do. The great cosmologist is survived by his three children from his first marriage, together with his three grandchildren.